The Rodarte Community Center, part of the City of Greeley’s Culture, Parks and Recreation Department, is gearing up for their Fun in the Spring and Summer camp programs. These camp sessions are designed to provide a broad range of activities such as STEM, arts & crafts and recreational programs, as well as field trips, engaging students and getting them involved in different projects while they are on vacation from school. Registration will begin Feb 4 for Fun in the Spring, which will be offered March 11-15. Fun in the Sun early registration for those with a financial need will be open March 4-31. General Registration for the summer camp will be open April 15-May 17. 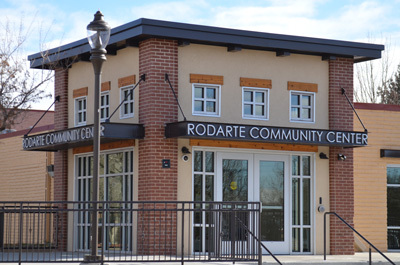 The Rodarte Community Center revamped their program in 2018 along with their expansion that added three components to the existing facility. The construction project included a new ADA accessible ramp on the west side of the facility, along with a vestibule and a reconfigured front desk. Customers and parents now enter into the front entrance on the west side of the facility, are greeted by a Customer Service Representative, where they are cleared to gain access to the rest of the building which can only be accessed by a proxy card reader. The goal is the keep students safe while attending programs at the Rodarte Community Center, whether they are participating in the After School program, Fun in the Spring/Sun program or boxing program. They also purchased child-tracking software, called “Brightwheel” to check participants in, track activities, incentives, academic progress and upload lesson plans. Parents can download the Brightwheel App where they gain access to these features. For more information about the Rodarte Community Center Fun in the Spring or Summer programs, please visit RodarteCC.com or call 970-350-9430.